The Joule Indirect Cylinder is designed for indirect heating via a conventional gas and oil boilers and sealed biomass systems. 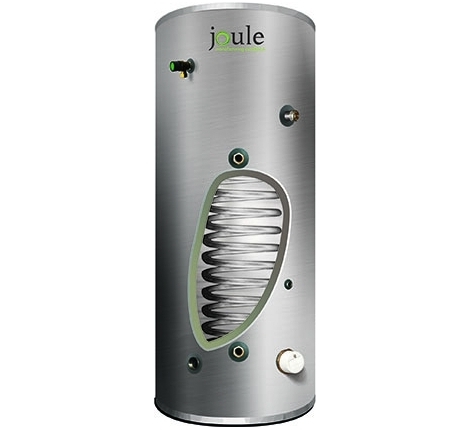 Joule Cylinders are available from 100 litres to 500 litres and are available in a Slimline version. 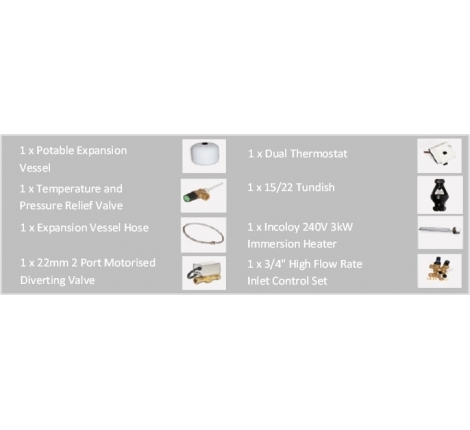 The Joule Indirect Cylinder not only boasts exceptional build quality but with every size having 28mm Hot & Cold connections (reducing bushes supplied) and a secondary return this allows for excellent installer compatibility with each installation. Each Joule Indirect Cylinder is supplied with compression fittings to reduce overheads and to allow for a professional finish to your installation. Joule cylinders come with a 25 year warranty. •	Please note Twin & Triple Coil versions are also available, please contact us for further information. For details on the G3 kit which comes with the cylinder, please see the 'Specifications' tab.